Our company holds vast experience in this domain and is involved in providing HTML5 Premium Design Service to our customers. Our professionals give reliable solutions, thus highly appreciated among our clients due to their high reliability. Furthermore, this HTML5 Premium Design Service is rendered at market leading price. 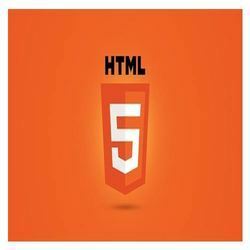 We offer HTML5 Website Design as it is the new standard compatible to all the devices. This technology make the website more interactive and ehance the user experience. Check our website portfolio for more details. Not only HTML5 Designer and Dash boarding framework, BDI provides HTML5 portal along with Designer licenses that helps in viewing the dashboards in all devices in our portal. See some of the following images taken of live dashboard using iOS7 in latest iPad. SharePoint is a web-based application that integrates with Microsoft Office. Launched in 2001,  SharePoint is primarily sold as a document management and storage system, but the product is highly configurable and usage varies substantially between organizations. The API service allows you to automate the sending and receiving of SMS messages by integrating our API services directly with your business applications, websites or other software. - Straightforward, hassle free integration. HTML5 improves interoperability and reduces development costs by making precise rules on how to handle all HTML elements and how to recover from errors. CSS3 layers on the principles of style and cascade from its previous versions of CSS. Various new feartures of CSS3 clubbed allows for a brilliant user experience. Static websites means the web content changes regularly with minimal effort. Dynamic websites are usually maintained by web admin using a CMS a web-based software application that allows web admin to update their content without having much knowledge about programing.